S7 Technics' base maintenance facilities located at Moscow Domodyedovo airport are now ready to work on the the latest generation of Boeing's 737. 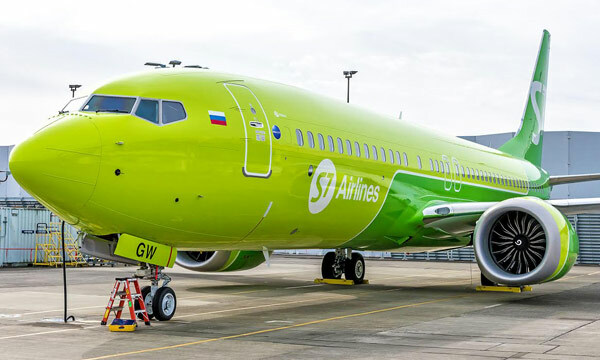 The MRO company which is linked to the Russian S7 carrier announced that it had obtained its EASA Part 145 approval in November to be able to intervene on the 737 MAX family. Around fifteen of its maintenance technicians have been trained and have all the tools and equipment they need for base and line maintenance for this type of aircraft. However, major inspections (C-Checks) are excluded for the moment. According to S7 Technics' estimates, the Boeing 737 MAX fleet operated in Russia will reach 100 units within 5 to 7 years. The maintenance market for this type of aircraft can therefore only expand. The S7 airline received its first two 737 MAX 8s in November. Nine other aircraft are expected by the airline by 2020.